Looking for the perfect gift this holiday season? How about gourmet coffee to heat up those cold winter days and nights! 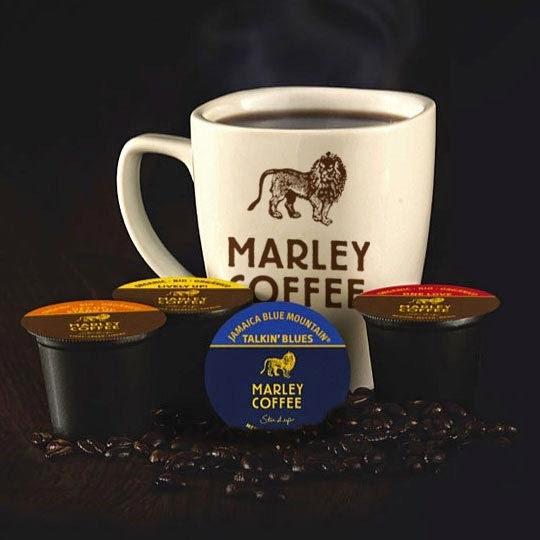 Marley Coffee—founded by Bob Marley’s son Rohan—offers a delightful and delicious array of gourmet blends in ground bean, whole bean and RealCup single-serve formats. From its “One Love” medium roast and “Get Up, Stand Up” light roast to its “Simmer Down” decaf blend, Marley Coffee has something to suit every taste. And Marley Coffee ensures that every one of its products comes from ethically grown, organic and sustainable coffee farms. You can purchase Marley Coffee in K-Cups or Grounds here. 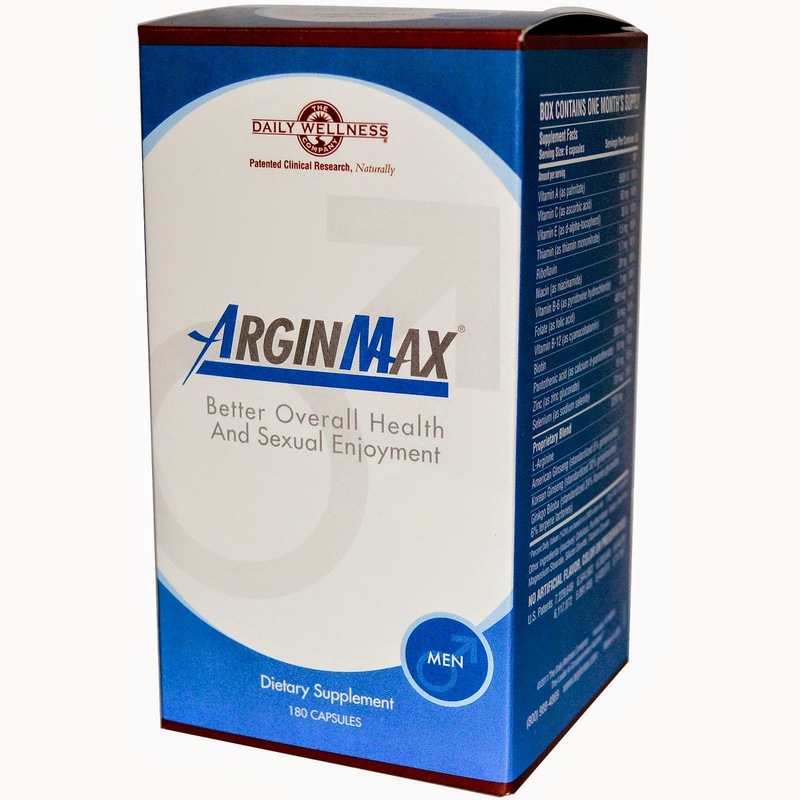 ArginMax for Men is a scientifically-validated nutritional supplement for optimization of sexual health, with formulas available for both men and women. Each formula has been carefully balanced to meet the unique needs of the user, utilizing L-arginine, Panax ginseng, Ginkgo biloba, damiana leaf, vitamins A, C, E, B6, B12, Biotin, folate, niacin, pantothenic acid, riboflavin, thiamin, as well as the minerals calcium, iron and zinc. With ingredients designed to increase blood flow and relieve fatigue, the result is a gradual, natural increase of sexual fitness. These uniquely designed double-sided microfiber cloths are made of a durable microfiber material that cleans sensitive surfaces of dirt, grime, fingerprints, facial oils and makeup. A great size to place in your purse or briefcase for any quick touch-ups! You can purchase Dust Off here for $4.49. 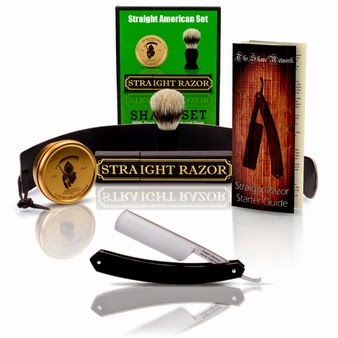 Finally affordable fine hand made American Straight Razor's. You can purchase it here for about $99.99. You can purchase this here for $129. -- Access all of your smartphone’s alerts and notifications instantly on your wrist: The free Martian Notifier App allows three unique levels of “smart notification” support. This is an industry first set of features. --It first lets you filter the notification types you want sent to the watch, so you receive only those that are most important to you. 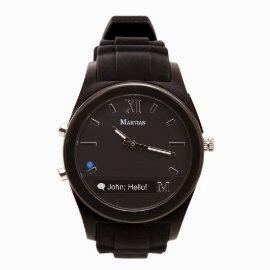 --Secondly, it allows customized vibration patterns for each type of alert, letting you know if you’ve just received, for example, an email, text message or news alert without even looking at your watch, let alone your phone. --Finally, you can recall the most recent message with just a tap of the watch face, or scroll through multiple past notifications for a quick review. --Not only will you receive standard notifications including Caller ID, texts, Facebook, Twitter, Weather, Email, Calendar, Instagram, Pinterest, you can receive notifications from any app that provides a push notification including favorite games, bank alerts, fitness stats, etc, etc. There are thousands of apps, we have just a few listed here. Get Notifications From 1000s of Apps - No SDK Required! --You can also initiate voice commands on your smartphone’s speakerphone for uses such as “read text” while you’re on the move. --Silent alarms, hour repeater, virtual phone leash, find phone, camera shutter control, and more! You can purchase one here for $129. With patented auto-switching technology that saves you money on electrical bills, the Smart Strip SCG3 Energy Saving Power Strip features seven outlets that work in sync to efficiently power your electrical devices. This unique energy-saving power strip automatically switches devices on and off and uses less than one watt of power when fully energized. And with premium EMF/RFI filtering and 900-joule protection to defend devices against surges, this strip keeps your valuable electronic equipment fully protected. You can purchase this here for $29.99. The miniSquid is the newest member of the popular Power Squid product line that has been fully optimized for your many travel power need. 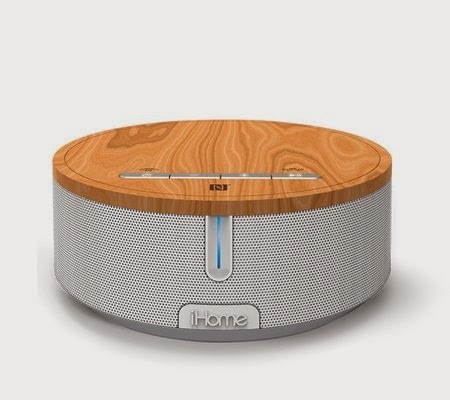 Features include: , Outlets on flexible arms so they are never blocked by another plug, Recessed power switch to prevent accidental shut-offs, 2 USB charging jacks, and 612 Joules of surge protection. BioChem® 100% Whey has been a pioneer in crafting whey protein for over 15 years and continues to be a leader in whey proteins today. Now from BioChem®, the #1 in Whey protein, comes the specially formulated 100% Berries + Whey. Whey protein isolate uses the same high quality microfiltration/ ultrafiltration method as our original 100% whey products to create an undenatured, pure whey protein isolate, and is sourced from grass-fed cows and NON-GMO ingredients to produce a pure whey protein powder. You can purchase this in most natural health food stores. 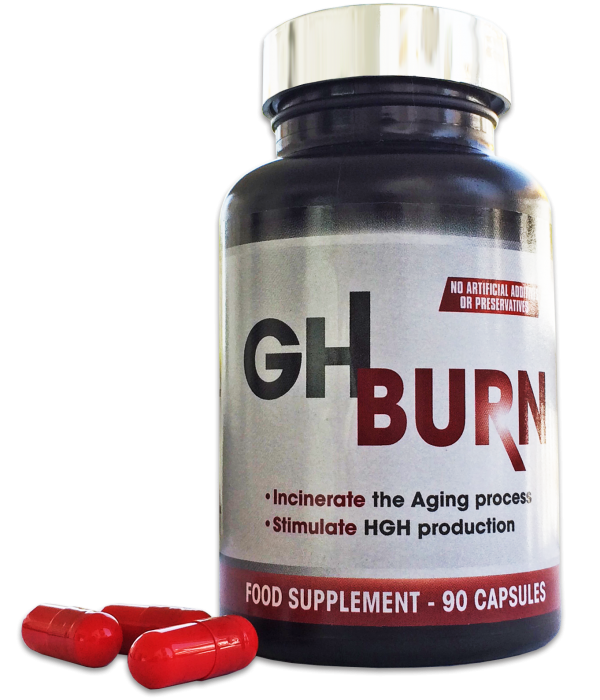 GHBurn is a scientifically proven powerful natural precursor to HGH (Human Growth Hormone), the body’s master hormone. GHBurn was uniquely designed to enhance the body’s hormonal system, which begins to deteriorate after the age of thirty. It increases testosterone production, lean muscle mass, enhances energy, alertness and libido, while decreasing fat production and cravings. GHBurn provides muscles with increased energy at the cellular level enhancing athletic performance and ability. Used daily, the unique proprietary blend of ingredients regulates male hormones, which in effect halts and more importantly reverses the aging process. Through clinical research, GHBurn has been demonstrated to increase the production of Human Growth Hormone, energy levels, mental alertness, metabolism, and lean muscle mass while decreasing appetite and unhealthy cravings as well as to improve cholesterol, blood pressure, and sleep rhythms, enhance libido and stamina, and even strengthen the immune system and brittle bones. Specifically formulated for the male system and its complex hormonal structure, GHBurn is advantageous to men ages 25 plus as it offers both preventative and restorative aids. 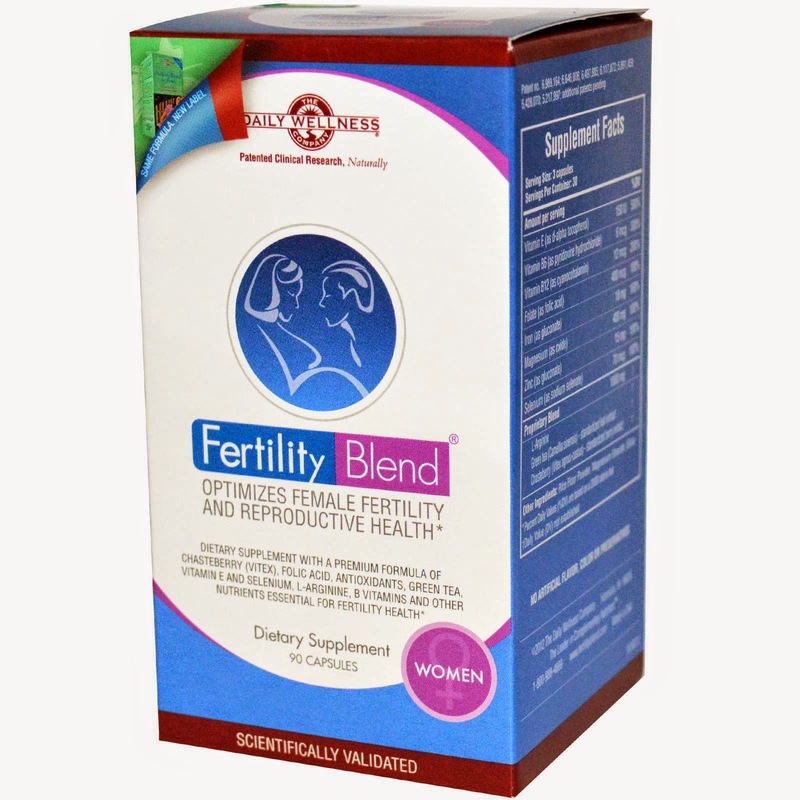 Used daily, the proprietary blend of ingredients regulates male hormones, which in effect reverses the aging process. Chillsner is the first and only, in-bottle beer chiller that keeps cold beer cold from the first sip to the last, whether drinking from the bottle or as you pour into your glass. Just freeze, insert into any bottled beer, and drink right through the Chillsner. 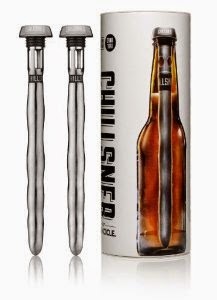 Made from stainless steel, Chillsner uses the same proprietary thermal gel as the famed Corkcicle. 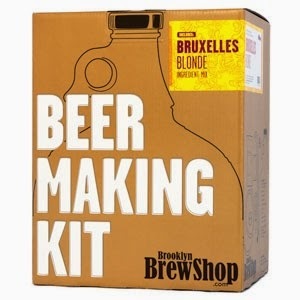 It is a must-have gadget for any beer drinker. Perfect for parties, tailgating, or pretty much any occasion where beloved beers are enjoyed. You can purchase these here for $29.95 for two. 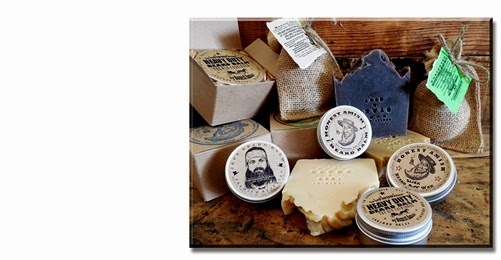 Duck Dynasty Star Jep Robertson has a new line of mens products by Honest Amish! Who knows beards? We know beards. Long before the current beard trend, way back before the 60's and 70's, and long before the 20th or 19th century for that matter...beards have been an integral part of Amish culture. The care for these beards have been passed through generations of men. Honest Amish Beard Products only uses premium organic ingredients, wild harvested botanicals, essential oils, and organic fruit and nut butters aimed towards the care of your beard. These original recipes were created centuries ago to help maintain, care, and control growing beards while protecting and conditioning the hair follicles. 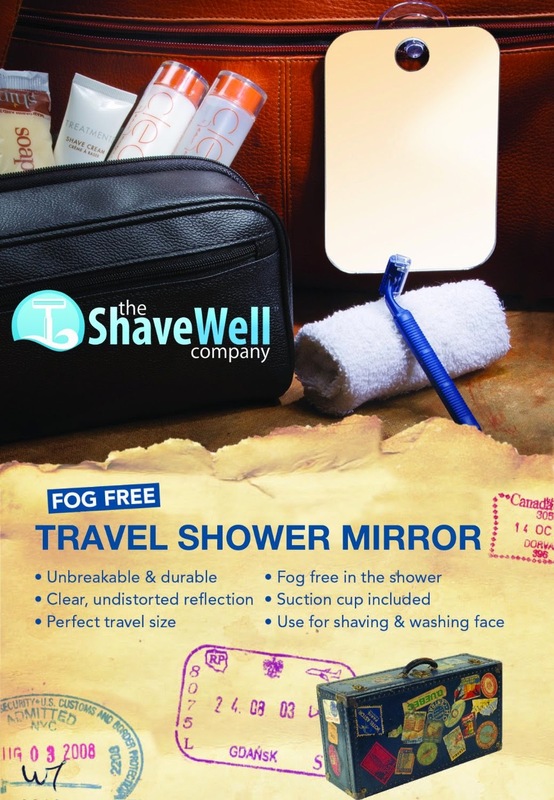 A great all natural and organic gift for any man! You can purchase the products here starting at just $6.50. You can purchase a kit here for $40.00. Body Glove SURGE, the first proven all-natural energy shot, is the perfect stocking stuffer for anyone who lives an active lifestyle. 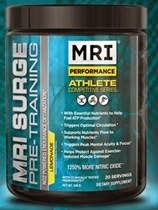 Made with all-natural ingredients like green tea and whey protein, SURGE has zero bad chemicals like a lot of other energy shots on the market. The energy shot is a popular choice among top performing athletes seeking increased energy and mental focus. 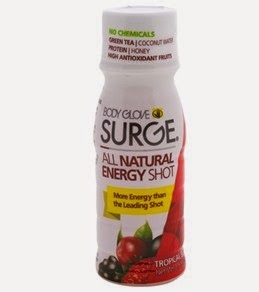 SURGE flavors include Peach Mango, Grape and Tropical Berry. You can purchase it here on Groupon! The ReF™ headphones were specifically designed to fulfill the growing consumer demand for accessories that look as good as they perform. 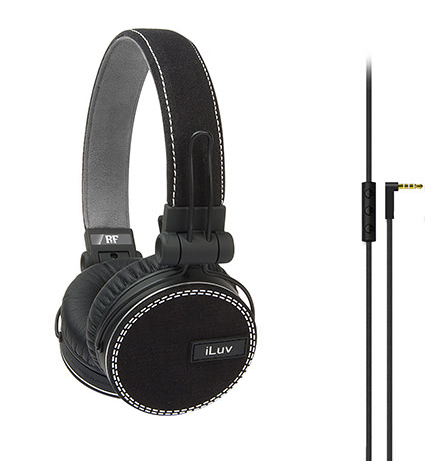 These headphones meet that demand by combining fashionable elements and premium technology to produce a product that wins wholehearted approval from fashionistas and techies alike. Plug these headphones into your iPad, iPhone, or iPod to enjoy hands-free conversation or play your favorite track and immerse yourself in the rich, deep bass and precise treble. Miggo was conceived by a group of designers who spent years creating countless bestselling protective solutions for one of the world’s leading camera bag manufacturers. Miggo’s vision is to become a leading global provider of multi-purpose carrying and protective solutions for consumers’ personal gear. The company’s first products, the miggo Strap & Wrap and Grip & Wrap are emblematic of the company’s innovative approach to a rapidly evolving market. 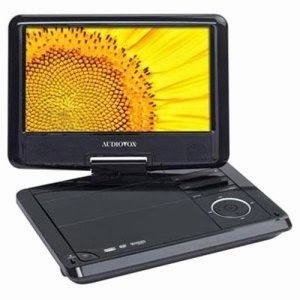 Watch movies on the go with this Audiovox DS9321 portable DVD player, which features a 9" widescreen LCD display that offers crisp images and swivels up to 270° for easy positioning. 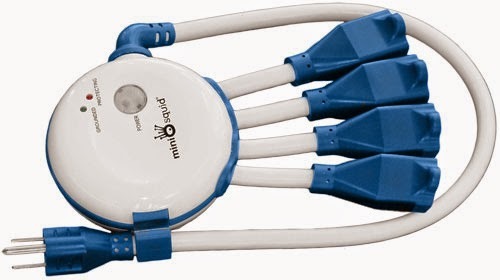 The composite output enables flexible connectivity. Include DVD, DVD-RW, CD, CD-R, VCD, Kodak Picture CD and JPEG for flexible options. With 640 x 234 resolution allows you to view widescreen movies in their cinematic format and provides high-quality images. Swiveling design rotates up to 270° to help you find a comfortable viewing angle. 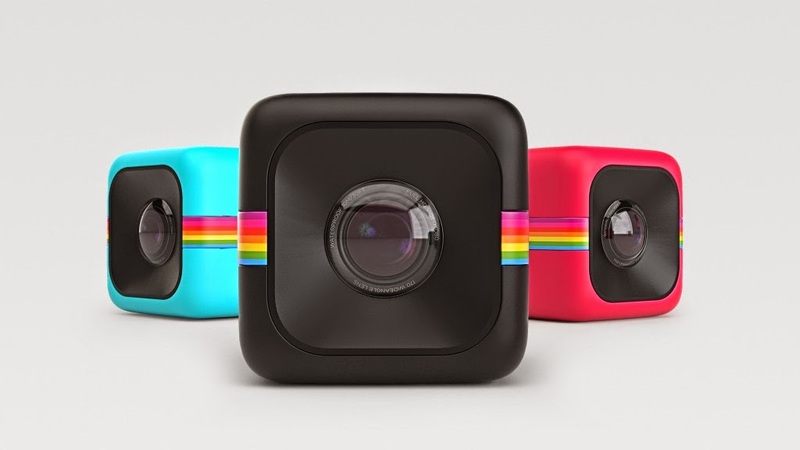 Measures just 1-5/8" thin and weighs only 1.9 lbs., so you can easily stay entertained on the go. Include play, pause, stop, fast forward and fast reverse for enhanced functionality. You can purchase this here for $129.99. 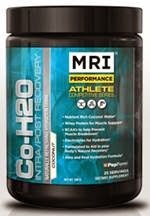 Co-H20 – Naturally hydrates and replenishes electrolytes. The specialized formula also restores balance, combats dehydration and helps maintain the ability to train. The Lighted Lithium Detailer is just what he needs for a well-rounded grooming routine because looking good is all in the details. 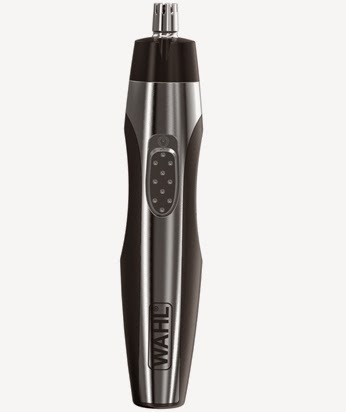 Its compact size and innovative light feature makes cleaning up around the brows, nose and ears a walk in the park. Available on Amazon.com for a MSRP of $24.99. 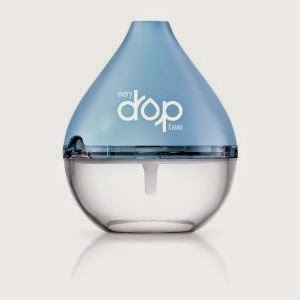 The EveryDrop Water Filter is the one and only portable water filter that provides you with great tasting water, at home and on the go, all in one simple drop. Versatile at home and portable on the go, you can roam all over your home with it, take it on vacation, take it to work and to workouts, and hit the road or trail with it. Wherever you're going, the EveryDrop Water Filter will become your new favorite travel companion. Plus, the EveryDrop Water Filter is 5 times faster* and also filters 50 percent more water** than leading brand filtration pitchers. Enjoy great tasting, freshly filtered water everywhere. Water at the speed of life. You can purchase this here for about $29. For those who likes variety, a flavored Vodka from Sobieski (SRP: $10.99) is a tasty treat. A long-time partnership with the Fisher House Foundation, also means that this gift gives back. From Raspberry to Lemon Meringue, one of the eleven flavors of Sobieski is bound shake up their next cocktail. For a gift with family ties, a cognac from the Elegance line of CAMUS is an option anyone can relate to. The largest-independent cognac house still in operation, CAMUS is currently run by the fifth generation of the CAMUS family. Delicious neat or in a variety of cocktails, CAMUS VSOP Elegance Cognac (SRP: $37.00) offers a rich flavor and delicate oak finish. Blue Nectar Tequila is handcrafted from 100% estate-grown Blue Weber agaves from the heart of the tequila lowlands, in the countryside of Amatitán, Jalisco, Mexico. This holiday season, treat your favorite lady to a bottle of Blue Nectar Silver ($39.99). Beautifully packaged, this new super-premium, triple-distilled tequila features fresh, crisp flavors of minerals and green fruits, culminating in a clean agave-forward finish. Extremely versatile, Blue Nectar Silver is enjoyable in shots, margaritas, on the rocks, or neat. The striking bottle can also be re-used as a rustic flower vase, or a container for her favorite bath salts. Tech21, the leader in impact protection, produces all of the latest device cases and offers multiple color options in sleek designs – so you can give your phone or tablet the ultimate protection. Some of our top cases include the Impact Shell,Impact Band and Impact Mesh feature patented D3O polymer, which locks up upon impact for ultimate protection, while also giving full access to all of a device’s ports and buttons. One of our latest products, Impact Shield with Anti-Glare for iPhone 5 is a next-gen screen protector that offers the Tech21 standard of impact protection by combining a multi-layered coating that features materials used in bulletproof glass with an anti-glare filter. You can purchase this here for $34.95. From Eagles Nest Outfitters comes Twilights! iRig Mic is the first handheld, quality condenser microphone for iPhone, iPod touch and iPad designed for all of your mobile sound needs. Now you can make professional audio and vocal recordings anywhere on your iOS device. IRig Mic is ideal for the singer, vocalist and songwriter on the move, but also perfect for recording speeches, instruments, performances or other sound sources in the studio, on stage or in the field. The iRig Mic features a highly unidirectional condenser-electrets microphone capsule that provides quality recording in both close mic and long distance mic conditions, and provides real time monitoring with its dual mini-jack connector design. A three-level gain switch makes it instantly adjustable for any sound pressure condition - from soft speaking to loud playing. Its familiar form is perfect for handheld performance, plus it allows you to mount it on any mic stand leaving your device free for operating your favorite app. Its rugged metal body is road-ready for the mobile musician. IRig Mic also comes with Voca Live free, IK’s new real time effects processor suite for the singer and vocalist, and AmpliTube free for guitar players and songwriters. 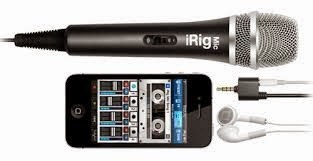 iRig Mic also works with a multitude of other vocal and audio processing apps for the iOS platform. You can purchase the iRig Mic here for about $59.99. This set is so super cute! 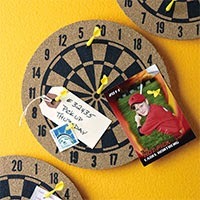 Men will love this neat way to show off their favorite photos or notes. Priced at just $15.00 its a great deal! When you need powerful yet portable keyboard control, the IK Multimedia iRig Keys 37-key USB/MIDI controller is ready to perform. 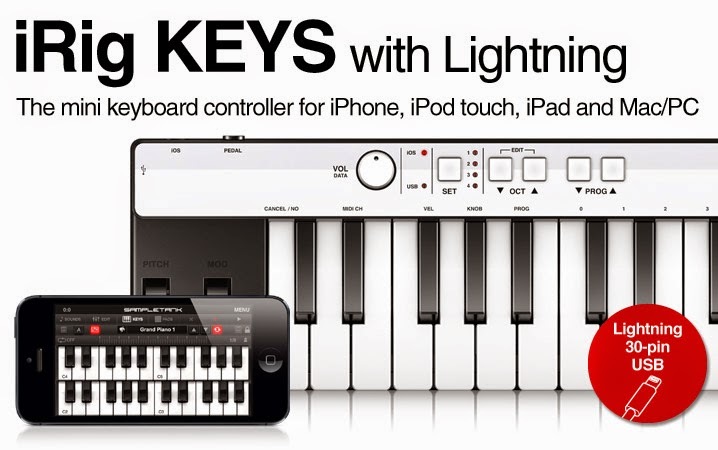 Its got all the goods to play your apps and virtual instruments expressively, like velocity-sensitive keys, pitch bend and mod wheels, and an input for an optional expression pedal or sustain pedal. Its ready to be used with your iPad, iPhone, or iPod Touch, but of course its a great controller for your desktop or laptop too. And since it comes with some free software instruments from IK Multimedia, you'll be making music in no time with the IK Multimedia iRig Keys 37-key USB/MIDI controller! 24-Inch Indoor/Outdoor Push Broom Clic' N Loc ratchet system keeps handle from loosening. Steel support brace provides control by minimizing the pitch of the broom head. Soft bristles on the outside help to sweep finer dust and dirt while the stiff inner bristles help to move the tough messes. Steel pole for durability and long life. 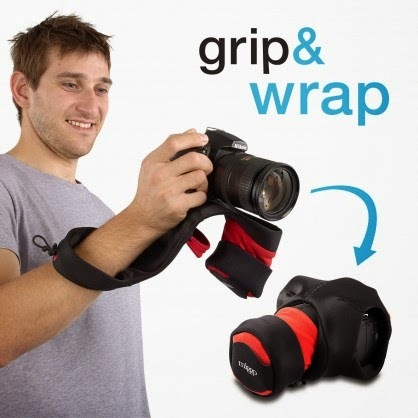 Soft grip handle provides a comfortable and secure grip. Allows for cleaning in a variety of indoor and outdoor environments.